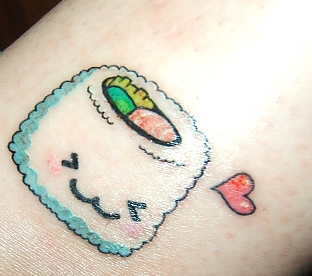 I'm not too sure what's going on in this kawaii tattoo... There's a dragon monster and a bunch of smaller monsters fighting/fleeing it? The aesthetics, colorfulness and fantasy feel of the background are wonderful. 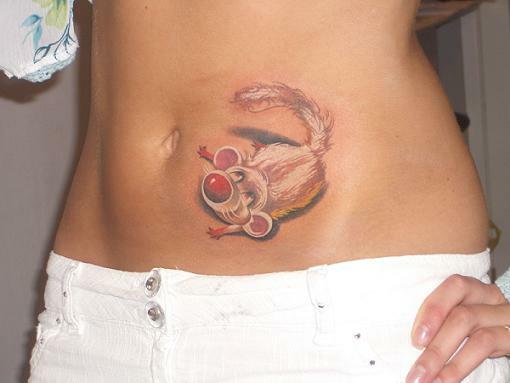 This tattoo is not just cute, it's absolutely amazing! Artfully drawn and colored, it looks like a painting rather than a tattoo. The butterfly and the flower are both looking very realistic. 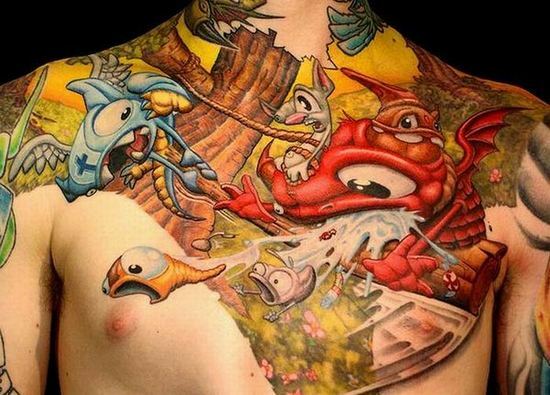 Incredible ink job! Take a look! It's a colorful green lizard tattoo. 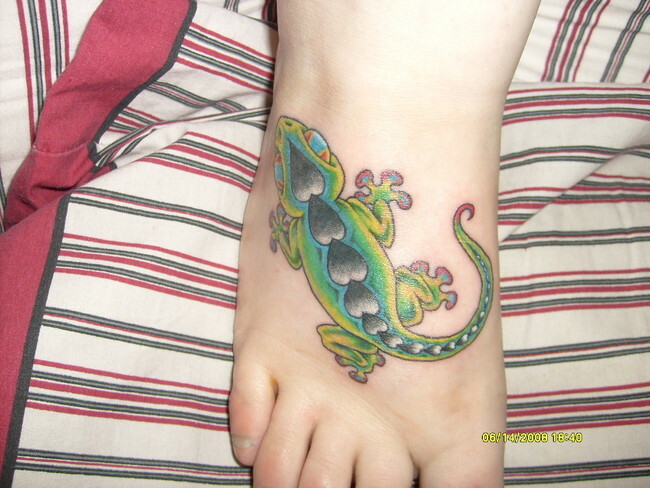 What a whimsical foot decoration; not for the faint of heart... I wouldn't want a creepy crawly lizard on me! This little mouse tattoo is adorable! Very expertly drawn and shaded, I love love love it. Awesomely cute tattoo! I don't recognize the mouse from any cartoon... Anyone got ideas about who this mouse is? This cupcake tattoo is very interesting. It's both cute and somewhat menacing, all at the same time. 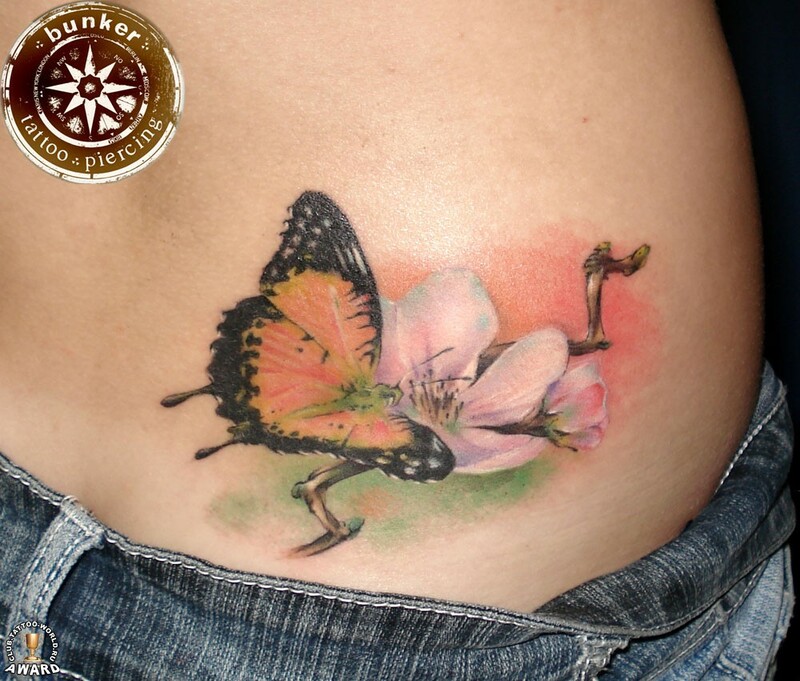 The tat seems to be very well made, with nice shading and colors. 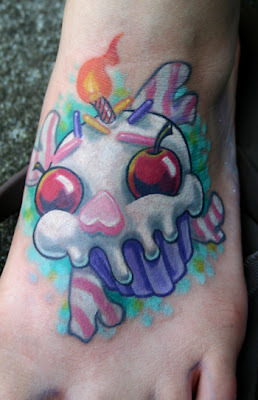 The yummy candies and cherries on the tattoo, though, they create a creepy, red eyed face, and it freaks me out!